I'm still alive, September was just filled with comic conventions, magic prereleases, monster manuals, and the day of my birth. Areas of Proficiency (1st level): You are proficient in Medicine and Persuasion. Tools (1st level): Land animals and one of your choice. Inspiring Action (Level 1): You can spend a Luck point as a bonus action to grant each ally within 30 feet advantage on attack rolls, skill checks, and saving throws for 1 round. Indomitable Defense (6th level): As a reaction, each adjacent ally gains a +1 bonus to AC until the end of your next turn. 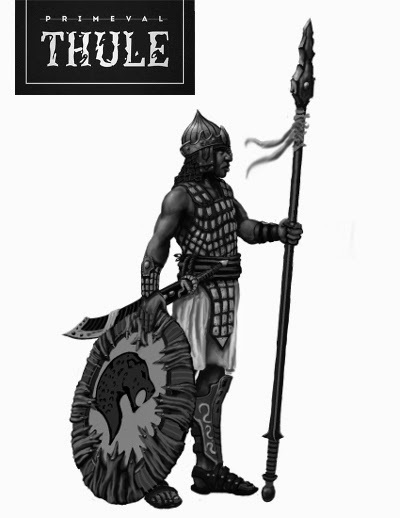 Honor Guard (10th level): High Command has seen fit to assign you some myrmidons of your own. You gain a company of guard followers. They’ll follow any orders that aren’t obviously suicidal, though they’re really more useful for guarding your camp and delivering messages and treasure back to civilization while you continue to adventure. Your myrmidon century pays for your honor guard’s gear and wages, and you can replace fallen myrmidons when you reach a new level. In addition, once per three years you can call an army to your banner. Finally, you and each adjacent ally gains advantage on initiative. Optionally this is a feat and can only be taken if you have this background and are at least 8th level, additionally gain +1 Dexterity.